This beautiful home offers gracious living in a peaceful, private setting. Located at the termination of a street, this home has LOTS OF PRIVACY!! Backyard oasis with HEATED, IN-GROUND POOL and large deck with pergola! 10 foot ceilings on the main level with crown molding. 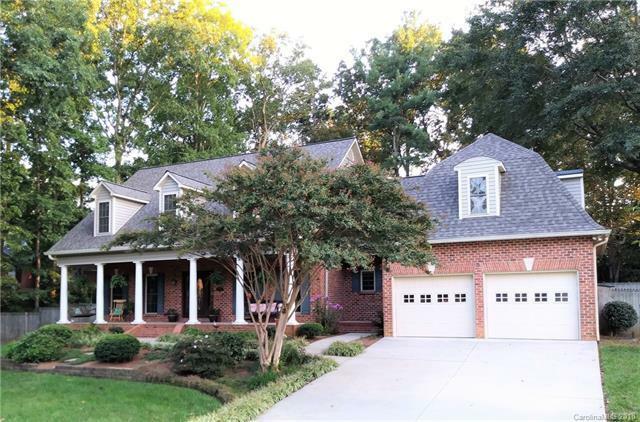 Wonderful 2 story vaulted ceiling, eat-in kitchen with convenient access to the dining room. Living room has marble surround fireplace with vented gas logs. Master suite on the main level with large walk-in closet. Office on the main level with pocket doors. Bonus room with wet bar upstairs, could be a great media room. Rocking chair front porch overlooks nicely landscaped front yard. Ecosmarte ionic copper water system for the pool. 12'x7' storage shed. 2018 NEW roof! !